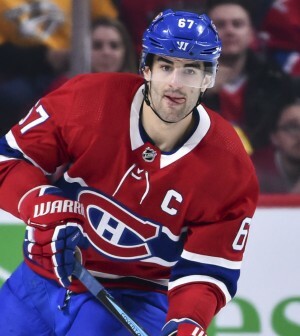 The Max Pacioretty era in Montreal has come to an end. The 29-year old, who has one year and $4.5 million remaining on his deal before becoming an unrestricted free agent, compiled 226 goals and 222 assists over a span of 626 games and 10 seasons with the Canadiens. He had spent three seasons as the team’s captain after becoming the 29th captain in franchise history on Sept. 18, 2015. Tatar, the main player heading to Montreal in the deal, posted 20 goals, 14 assists and a minus-19 rating in 82 games split between the Detroit Red Wings and Vegas Golden Knights in 2017/18. He has three years with an annual average value of $5.3 million remaining on his contract.